Comedic actor James Coco, despite being known for his acclaimed roles on Broadway and being ubiquitous on 1970s television programs and in films, seemed to have little to do when guest starring on The Muppet Show. Beyond appearing in a typically weird sketch involving a mind-reading session with a hayseed ghost and Beauregard in the crystal ball singing “Danny Boy,” Coco was mostly given a few lines of banter backstage. Kermit tried to follow his advice on adding razzle dazzle to the other numbers with little success. Coco made sure to be the center of attention in the finale – a song seemingly custom-written for the Muppets, Randy Newman’s “Short People.” Of course, he was upstaged at the end by Thog who towered over the guest star. The real highlights of the show came from the Muppets themselves – Robin the Frog dreamt of a group of snakes performing a beautiful abstract dance, and Rowlf sang a charming homage to Beethoven, “Eight Little Notes.” The opening number was perhaps the strongest, Ringo Starr’s song, “Octopus’s Garden” with Miss Piggy swimming by as a mermaid. Clearly a favorite for Jim, the Muppets had performed this song before on Ed Sullivan’s show and on Sesame Street. Read about Jim’s version of “Octopus’s Garden” on The Ed Sullivan Show. 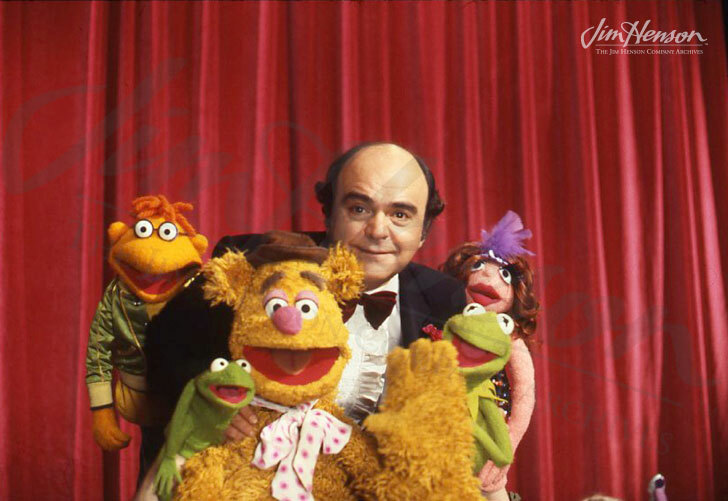 James Coco on The Muppet Show, 1978. This entry was posted in 05-May '78, 1978, Muppet Show and tagged James Coco, Kermit, Miss Piggy, Muppets, Sesame Street, The Ed Sullivan Show, Thog. Bookmark the permalink.